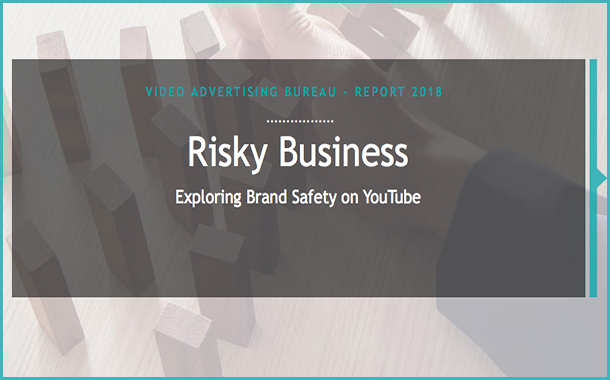 The new report, Risky Business: Exploring Brand Safety on YouTube, analysed the online video juggernaut’s content structure, how its model contributes to ongoing brand safety challenges, where threats exist on the platform, and the current opportunities for advertisers to safely use the platform at scale. VAB says that much of YouTube’s brand safety issue is rooted in the way the platform is structured and the volume of content it hosts. The analyst noted that while volume is necessary to create the scale marketers look for in their media campaigns, with 400 hours of video uploaded to YouTube every minute and more than 50 million channels, the platform’s environment is ripe for brand safety issues to surface. The Risky Business report also found YouTube’s volume of long-tail channels is highly likely to be comprised of user generated content, which can present a higher degree of jeopardy for advertisers’ brands. In a custom analysis, VAB found that leading ratings firm comScore currently measures only 0.04% of properties (a combination of 17,398 multi-channel networks and other channels) for its YouTube Partners Report. It added that 99% of YouTube’s comScore measured properties, as well as nearly half of the measured viewing time spent, occur in a long tail of the platform’s least-viewed properties. Moreover, VAB concluded that Even YouTube’s Google Preferred packages, where brand advertisers access the top 5% of YouTube’s most popular content, offer little transparency across its 13 vertical US categories. It said that specific details about Google Preferred channels are not readily available, including basic information such as a current list of channels where advertising will appear within each vertical. The upshot of what the analyst regarded as a lack of transparency was that it was challenging for marketers to guard against their campaigns being associated with inappropriate or unsavoury content. YouTube’s top influencers were found adhere to varying degrees of brand-safe content or suitability. The Risky Business report revealed that fewer than a quarter of these influencers were deemed brand safe, with two-thirds of top influencer videos containing or displaying unsafe language and just over three-fifths containing negative sentiment. However the study did find a safe haven for advertisers among the professionally-produced TV and film content featured on YouTube.